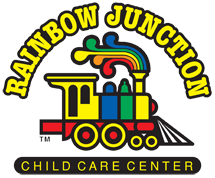 Rainbow Junction Child Care Center is a fully supported ministry of Zion United Methodist Church. We offer a faith-based curriculum for our preschool and daycare children in a secure facility located within Zion church. Our children experience the patience and support of loving and highly qualified staff while participating in a variety of hands-on learning activities. "The time, support and unconditional love you give these kids is unreal and unheard of!!"